Samsung launches portable hard disk smaller than a business card! 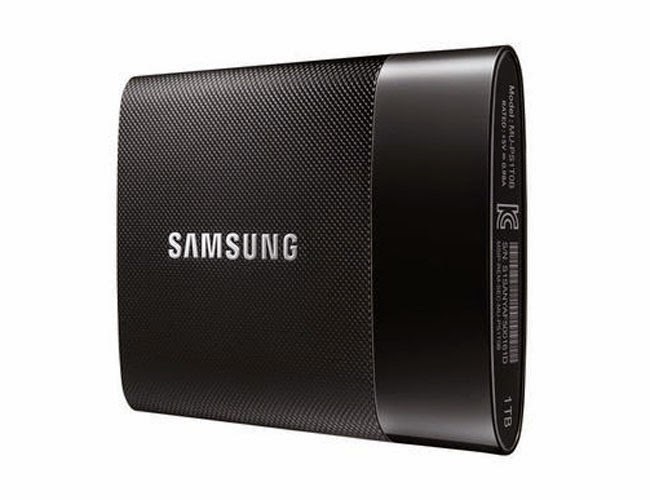 Seagate and Samsung on Tuesday announced some interesting hard drives at the Consumer Electronics Show, in Las Vegas, Nevada. Seagate launched the Seven, which is a 500GB USB 3.0 portable hard disk is just 7mm thin. This means it is slimmer than even the iPhone 6 Plus. The all steel hard drive has been created to commemorate the 35th anniversary of the first 5.25-inch hard disk for PCs. It will be available for $99 in January. As always, this is a US release and pricing, nothing for India has been announced. Samsung was not to be left behind. It is not a well-known fact, but Samsung is big in the hard drive space. It announced a gorgeous new portable hard drive, which is smaller than an average business card. It only weighs 28.34 grams. It will be available in 250GB, 500GB and 1TB variants for $179.99, $299.99 and $599.99 respectively. The portable drives are USB 3.0 enabled. Samsung claims that it can transfer a 3GB file in 8 seconds and a 10GB file in 27 seconds. These are portable solid-state drives, which helps Samsung to keep the size down. No pricing and release for India has been announced. Later in the month though, Samsung says that the drive will launch in European and Asian markets, in addition to the US.